Read the Original Portuguese Version Here! 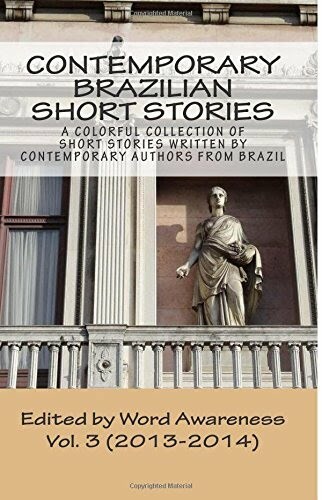 Linda met Olavo when she was only thirteen. He was twenty one. A tall, strong man of European origin. Strong willed, disciplined, and demanding. She was the eldest of four sisters. Maybe that was why she looked older—that and the responsibility of helping her mother take care of the younger ones. Back then, girls didn't go on dates; they made a serious commitment and the relationship had to be approved by the parents. Strict rules applied to courtship: It could only take place on the weekends, at a scheduled time, under the supervision of the family. Leaving a girl alone with her suitor was absolutely out of question. He was older and had a job, which showed responsibility. It did not take long until they were married. They followed the standards: he asked her hand in marriage and they got engaged. She was sixteen then. Men always had the last word, besides ruling the house, of course, like the commander of a military facility. But despite his strict nature and the lack of public display of affection, he always tried to keep his family comfortable and entertained. Actually, let's be impartial: she, the wife, feared her husband and always made arrangements so that all his wishes were fulfilled. She was afraid he would be out of sorts otherwise. Whenever it happened, he would be rude in front of anyone. She never thought of questioning his orders and became a faithful foreman around the house, helping to give orders as if they lived in the military quarters indeed: Time to get up, have lunch, study, take a shower, lay down. Everything would be set right on the clock, to the irritation of the children. Any noise while he was trying to take his siesta would be a sacrilege—that is, if she were Catholic. Since she was not, the rule was to follow the rules, no questions asked. Rules were what helped confirm the authority of someone who had a difficult role to play, considering the manners she had learned from her parents, who were from an European region punished by the sourness of the past. Love would not come through. It was suffocated by authority. Since her mother had taught her how to read and write, she never went to regular school. The idea of working was never conceived by either of them, but after they needed to tighten their belts, she started to work from home, cutting other women's hair. She could also save money by cutting her husband's and their children's hair. She had learned it from a friend who lived nearby. Life went on at a consistent pace, without any unforeseen circumstances, deviations or counter-orders. That was, until he kindly and unselfishly offered to teach Linda's cousin how to drive. Her cousin was a beautiful young woman. She was single, full of joy, and polite, a teacher who wanted to learn how to drive so that she could have her own car. In the beginning, Linda would accompany them. However, with time, classes took place more often and she couldn't leave behind her clients, the organization of the house, and the care for the children, even though there weren't little anymore. That was when Olavo and Cousin Vanda started to leave alone for the driving instruction sessions. Never-ending sessions. After being contained by the rules of her dictator husband—the same rules that overtime she had accepted as her own in the name of the so-called harmony in their getting along together—one day the volcano that had long been asleep inside of her finally erupted. The eruption was so intense that no words coming from him would ever convince her of his innocence and, above all, that of her a cousin she loved as a sister. It was his turn to stay quiet. The orders came from her. The cousin never visited them anymore. As a matter of fact, she was banned from their house. Linda told her sisters they would have to make a choice: “It's either me or our cousin!” There wasn't enough room for the two of them in their family gatherings. Linda and Vanda never spoke again. At home, that subject became taboo. Isabel Vargas is a teacher and attorney retired from public office. She specialized in Language and Technology and has over 300 texts published at Diário da Manhã, a newspaper in Pelotas, State of Rio Grande do Sul. She contributes to publications by Câmara Brasileira de Jovens Escritores (CBJE) [The Brazilian Chamber of Young Authors] and participated in the publication of over 100 books. Isabel is a member of Academia Virtual Sala dos Poetas e Escritores (AVSPE) [Virtual Poets and Writers Academy] in Balneário Camboriú, State of Santa Catarina; Associação Internacional Poetas Del Mundo [Poets of the World International Association] in Chile; Clube Brasileiro da Língua Portuguesa [Brazilian Club for Portuguese Language] in Belo Horizontes, State of Minas Gerais; Portal do Poeta Brasileiro [Brazilian Poets Portal], Confrades da Poesia [The Poetry Confraternity] in Portugal, União Hispanoamericana de Escritores [Hispanic American Writers Association], and Cá Estamos Nós (CEN) [Here We Are]. She has earned several awards, including 1st place in Short Stories and Chronicles, honorable mentions, highlighted chronicles, short stories, and poetry. 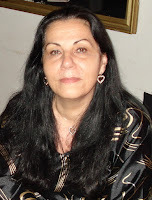 She wrote the preface for books published by Editora Celeiro de Escritores and worked on literary reviewing. She has also had her work published at Varal do Brasil magazine in Switzerland. To read more of her work, visit her personal blog IsabelCSVargas.com.